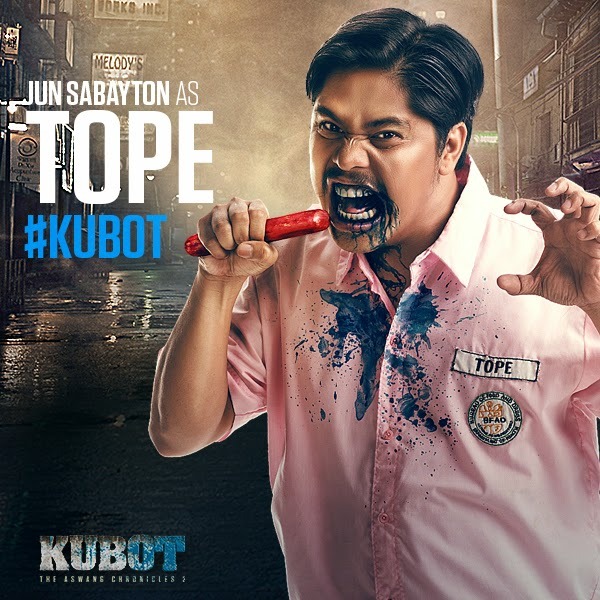 Kubot picks off from Tiktik's story in Pulupandan, where a massacre of Tiktik happened, headed by Makoy (Dingdong Dantes). 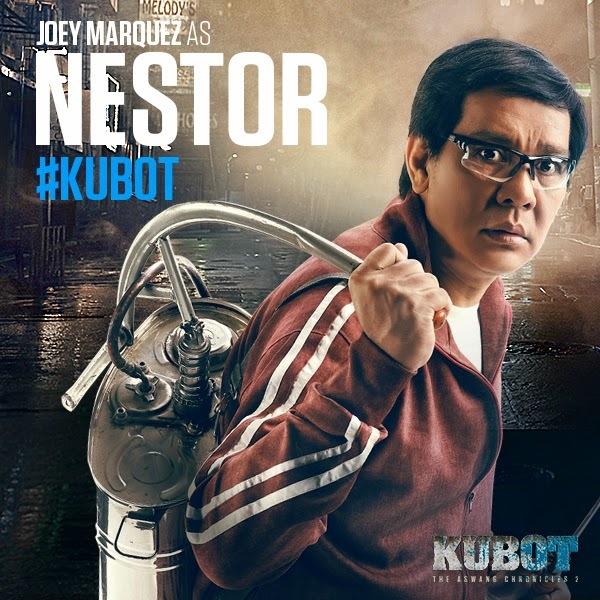 The "kubot", a type of "aswang" ambushed Macoy's escape but finally got to Manila to live in peace. But as he thinks that he's finally over the tragedy, he found ways to fight Doms (KC Montero), the owner of Dom's Hotdogs. 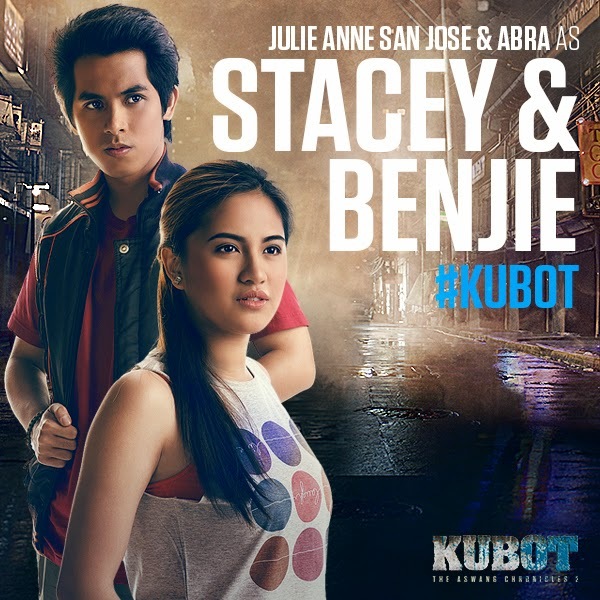 Giving us a fresher take of a local folklore, Kubot is a clan of long-haired female aswangs married to the Tiktik of Pulupandan, who can kill you with their tentacle-like hair. They use these to squeeze their victim's innards out like gel, pushing life out of their bodies. 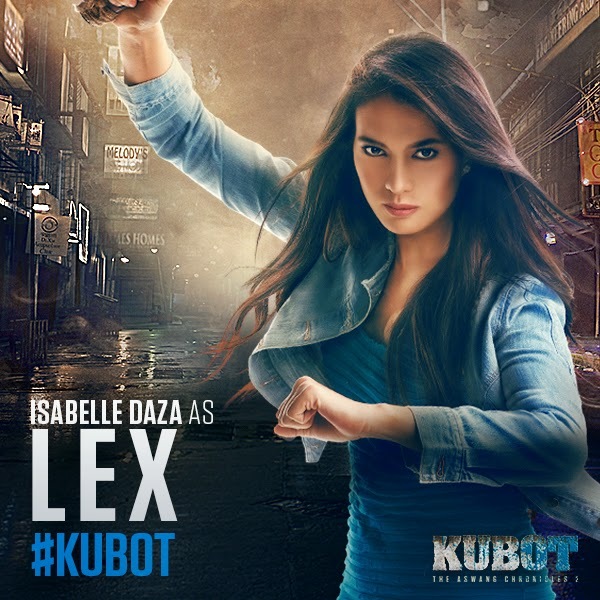 The lead Kubot is played by Elizabeth Oropeza. If Tiktik was shot mainly on green screen, Direk Erik Matti wanted to put more substance on scenes shot in Manila and the province. From mountaintops and quarry, they shot at Binondo and Tondo area, and has special effects from hanging to jumping and flying. I personally thought the aswangs looked scary, especially if you happen to imagine them being in Manila. Since I live in Tondo, it makes me really praning on how to escape the hands of aswangs. 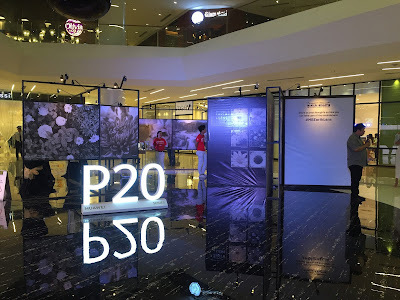 The cast includes Isabelle Daza, Lotlot De Leon, Bogart the Explorer, Julie Ann San Jose and Abra, Joey Marquez and Ramon Bautista, original casts of Tiktik, also joins the movie, and now with Hanna Ledesma playing Macoy's wife. As I've said during the interview, Kubot will set you a lot of emotions. 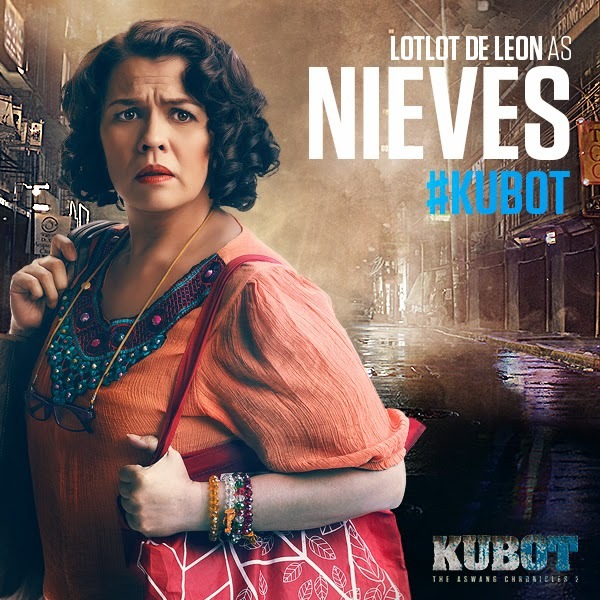 For starters, Lotlot De Leon played well in her parts, It's refreshing to see her as Makoy's feisty sister, And its also funny how they found a new formula to kill the aswangs. Get ready to laugh, cry, have an adrenaline rush and scared all at the same time with Kubot: The Aswang Chronicles. Also, catch Kubot: The Aswang Chronicles 2 Haunted Attraction at the Enchanted Kingdom for more. For updates, check out their Facebook Page at www.facebook.com/TheAswangChroniclesMovie, www.twitter.com/KubotMovie and www.instagram.com/TheAswangChronicles.